The Ficus genus counts hundreds of species, some of which are used to decorate homes indoors. 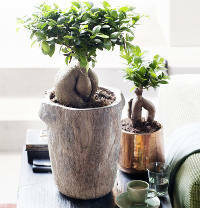 Whether gnarled bonsai or shrub with giant leaves, take your pick! This is the ficus tree that comes to mind when the topic of ficus trees arises: with its shiny green leaves, dark or mottled colors, it has survived the worst of gardeners, since it can survive in very low light and even if watering has been forgotten for a while. 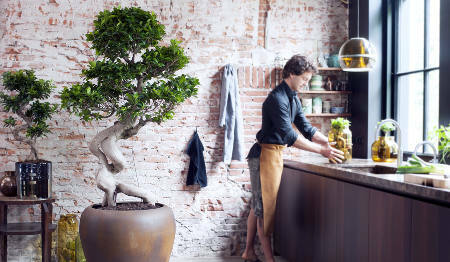 Although it isn’t very original, this ficus tree is nonetheless worth its while thanks to its hardiness and its rapid growth in a luminous room: it can grow over 13 feet (4 meters) tall! 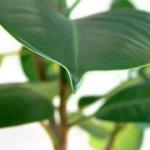 And if it grows too fast for you, don’t worry: just prune it! 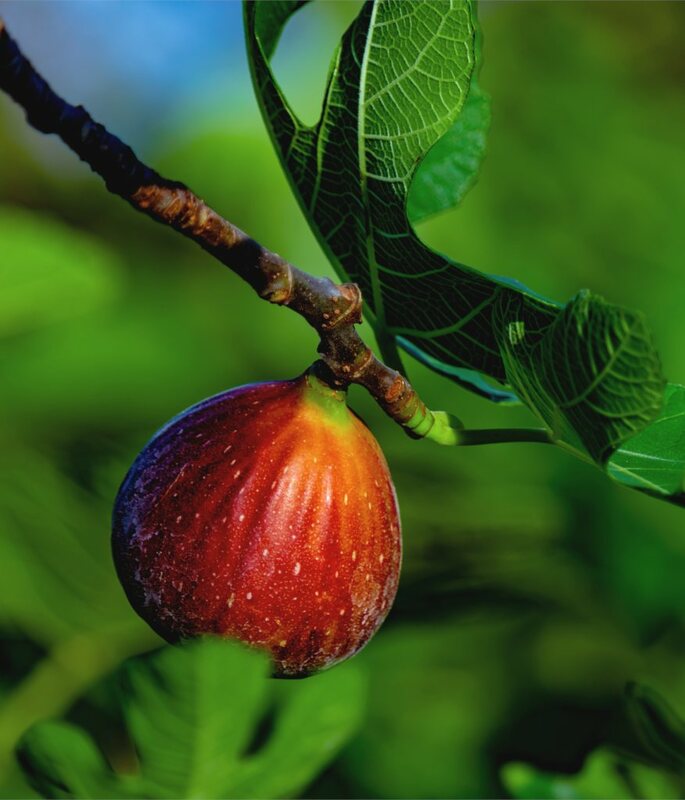 Its bearing similar to that of a small tree and its gigantic leaves – up to 1½ feet (45 cm) in length – the lyra fig is an eye-catcher. No surprise that it appears in home decoration blogs and magazines. 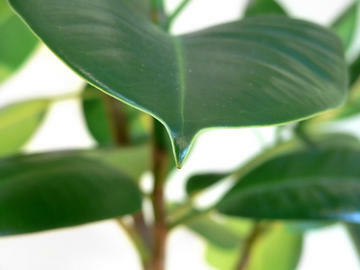 Apart from its aesthetic assets, lyrata also shares other Ficus’ taste for luminous spots that aren’t in direct sunlight, and for moderate temperatures, too, from 60 to 72°F (15 to 22°C). 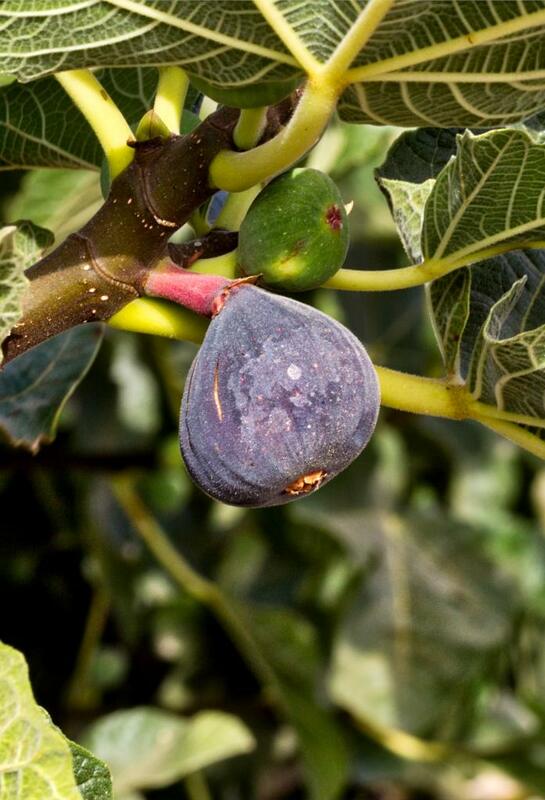 Yep, even rubber is a fig tree! 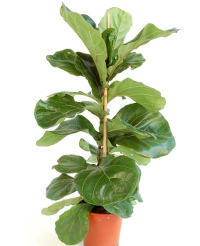 A hybrid coming from an Asian tropical forest tree that grows 130 feet (40 meters) tall, this prize indoor plant boasts large shiny leaves that are sometimes mottled. 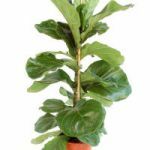 Like the other Ficus trees, it will relax thanks to the several mist baths and moderate watering that you can provide once a week when the surface soil has dried. 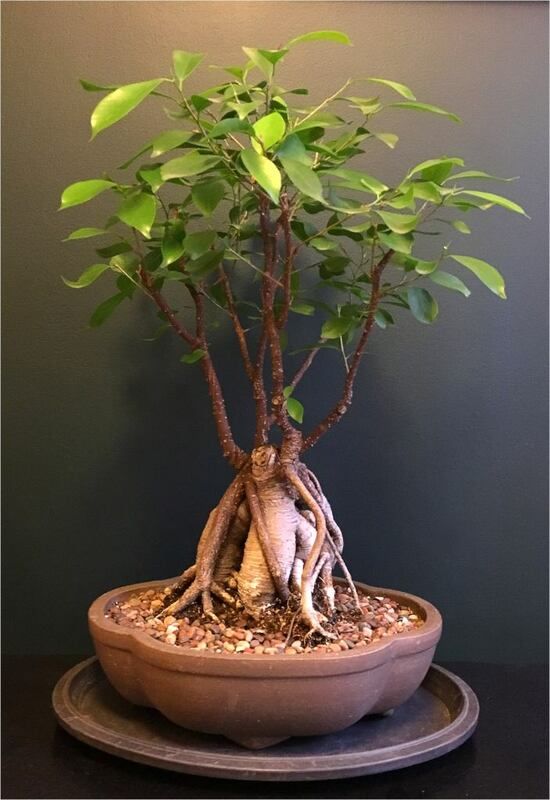 Also called Ficus ginseng, microcarpa is actually a winding aerial root on which leaves grow directly. 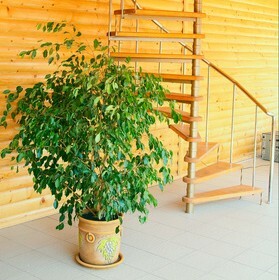 Either small or large, 16 inches to 3 feet (40 cm to 1 m), its gnarly bearing looks quite like a miniature tree, which is particularly ornamental. Like all bonsais, it must be regularly pruned and it fears gusts of wind. To keep it for a long time, keep it over winter in a cool room, 55 to 60°F (12 to 15°C) and bring it out in the shade in summer. Add fertilizer every year and repot every two years.